Unique, compelling, and at times ridiculous insights and lessons from the realm of romance. Why is dating so hard? Has Disney screwed us up? How many times have you entered into a new relationship immediately convinced that this person was “the one”? At last, you’ve met the partner who will “complete you,” make you feel like all those previous terrible relationships were somehow worth it, and finally complete your fantasy rom-com happy ending—your inner Jennifer Aniston already squealing with delight. How many times has that relationship abruptly veered off course, leaving your heart the victim of yet another romantic fatality? In her first book, Love and . 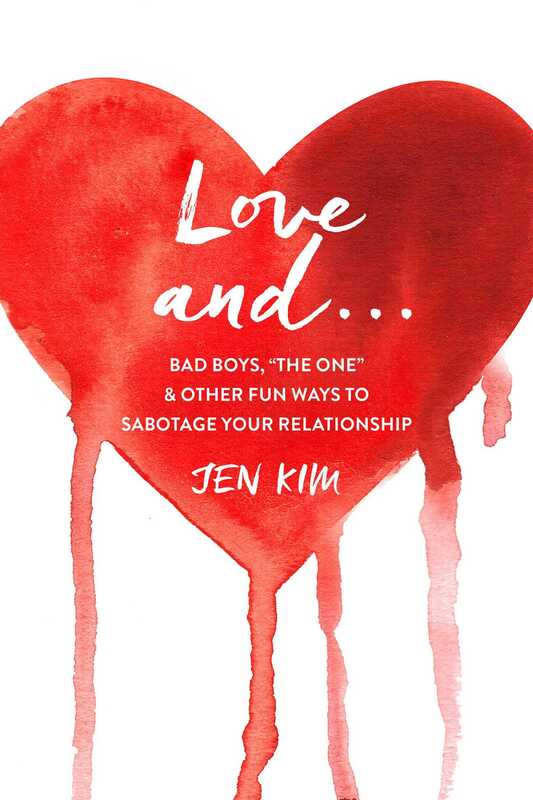 . . , Jen Kim turns to science to make sense of why, after three decades, she hasn’t been able to find lasting love. She puts a lens to the destructive pathology of her relationships, including her current long-term relationship with a partner who “just isn’t ready” for the next level . . . and, honestly, may never be. Will they or won’t they end up together? You’ll learn the prognosis by the final page. Love and . . . is a relationship self-help book that doesn’t want you to change, mostly because a) it’s really hard to change, and b) you probably don’t want to. Kim focuses on the science and psychology behind why we behave the way we do, reserving judgement for no one, but herself. Book Cover Image (jpg): Love And . . .